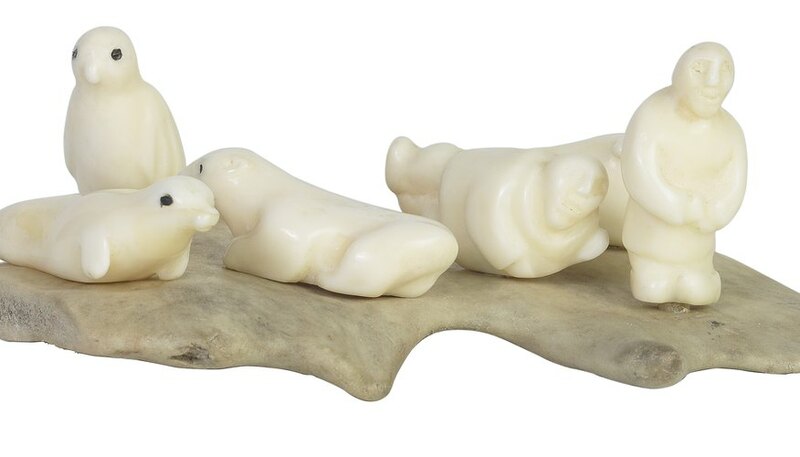 Bone carving can result in intricate and delicate works of art, or they can be strikingly simple. Whatever the goal, a number of different bone carving tools are used. Cattle, oxen, moose and deer are some of the more popular bones that are widely used. Leg bones are particularly desirable as they are thick and very dense, making them less liable to break or crack. While not every bone carving tool will be used on every project, bone carvers usually arm themselves with a number of fundamental items. A saw is needed for cutting the bone down to size and can be used in larger pieces for cutting details into the bone. Coping or fret saws are the best types of saw to use, as both can be manipulated to saw around bends and curves. Coping and fret saws are similar, as both have a handle attached to a U-shaped frame that holds the blade in place, but coping saws are a bit longer and larger. A drill or Dremel tool with a small, thin drill bit attachment are needed to drill any holes through the bone. Holes are necessary for bone pieces that will become pendants, earrings or other jewelry. Drills can also be used to carve deeper patterns than a saw can muster without drilling all the way through the bone. Gravers are chisels created out of top quality steel. These are used for cutting out designs that are very fine, requiring more control and precision than a saw can provide. Metal files are used to smooth down jagged edges. Bone carvers may use a number of different size files, depending on the size of their piece, with the ideal files being very coarse. Fine files will not have the strength to properly smooth down the bone. Needle files, which feature a slim body that often tapers to a point, are useful for very fine details. Sandpaper is used to further smooth down jagged edges that may still remain after filing. It also works to erase any grooves or markings left from any of the tools. Carvers start with the coarsest sandpaper and keep working their way down to the finer-grained paper, depending on the smoothness desired. Sandpaper can be used both dry and wet. Certain tools are used for holding the bone in place while you work on it. One item is a small vise, which is particularly useful when you're sanding and filing. Leather jaws make it even more versatile. But don't put the bone in there when you carving it, as it may snap. For that, use a firmly packed leather rice bag that can help absorb the vibration. Also, a hand-ring clamp is useful for carving small objects and safer than holding it in your fingers. Polishing is optional but adds a fine sheen to the finished product. A polishing head can be attached to the Dremel tool or other grinding tool. The best polishing head for bone is a buffing wheel made of cotton. Using a polish with the wheel is also optional. Silver and brass polish work but both must be washed off after use. Since bone fragments can snap, break or cause dust, carvers should invest in at least the basic safety equipment. Goggles are a must for keeping fragments and dust out of the eyes. A mask over the nose and mouth keeps dust from being inhaled.